Cerebral palsy is a non-progressive disorder caused by damage to the motor control centers of the young developing brain. This can occur during pregnancy, childbirth, or after birth up to about age three. About 80% of causes are unknown. Some cases where cause is known include malnutrition, infection, and head trauma in very early childhood. Most children are diagnosed by age five. Cerebral palsy is characterized by abnormal posture, reflexes, muscle tone, or motor development and coordination. Babies born with CP often have an irregular posture. Birth defects such as a small jawbone or spinal curvature sometimes occur. There is also the possibility of brain damage before or during birth. Recent studies have shown that up to 15 percent of children with cerebral palsy also suffer hearing damage. Cerebral Palsy can affect the way a child moves his or her mouth, jaw and head just as much as his or her arms and legs. This can make talking, eating, and even breathing quite difficult. If your child has CP and a hearing loss, he or she will need help that is different from other children with hearing loss. Both CP and the hearing loss will make it difficult to speak. Speech therapy helps control the muscle movements of the mouth and jaw, and can help improve communication. A speech therapist will work with your child to improve communication through speech, sign language, and other communication aids. Speech therapy often starts before your child begins school, and will continue throughout the school years. 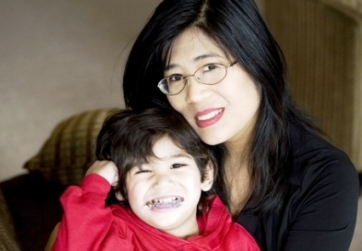 Occupational therapy is another good way to help your child with cerebral palsy. Occupational therapists usually work by teaching children with cerebral palsy better ways to use their arms, hands, and upper body. Generally, children tend to understand others better than they can express themselves, but your baby will need extra help to be able to know what is going on. Moving his or her head and body is very difficult, and having hearing loss makes it even more difficult. Is Your Infant Diagnosed With Having Cerebral Palsy? First Needs.. Your baby will need to know where sound is coming from. He or she will need extra time to turn to the person that is talking. Your child will also need more time to process conversation. Slowing down all communication and making eye contact with your child is very important. If too many things are being said too quickly, it's likely that your child will miss important information. Sometimes, children with CP can have a hard time with sign language, because CP can at times, make it difficult for kids to use their hands successfully. In this type of situation, your child's speech therapist will most likely suggest using communication boards or computer programs that allow your child to point to ideas he or she wants to express. However, if your child has fair to good hand control (or develops it more as he or she gets older) sign language can be very beneficial - both for you and your baby. 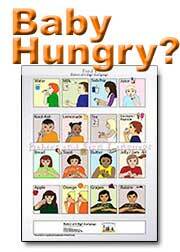 Sign can begin to be taught as soon as (or before) your child is in speech therapy. Slow the conversation down for baby. Remember that your child will need extra time to communicate. You will want to be sure that your child is looking at you while you are speaking, and definitely while you are signing. Sign language will ensure eye contact with baby, and give him or her time to take in what you are saying. Also, if you are incorporating sign and vocal speech, it will give your child more time to express him or herself properly. Signing will also take the pressure off of your child to try to speak quickly, which can become frustrating for your child when he or she is not understood. Reduce frustration for both you and your child. 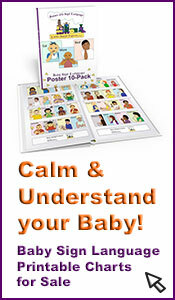 If your baby has a very difficult time attempting to speak, sign will be able to help communication. Your baby may be able to make the sign for "juice" but may not as easily be able to say the word. If your child can sign what it is he or she wants, you will be able to respond more effectively. If you use both sign and vocal speech, it will show your child that you want to communicate with him or her - this will encourage your child to communicate even more! Increase motor skills and muscle development in your baby's mouth when sign is constantly accompanied by vocal speech. If you accompany a sign with a specific spoken word, and encourage baby to do the same, he or she will want to imitate your sounds, as well as mouthing shapes. These sounds may not always be the correct "word" for the situation, but regardless, your baby is still using and training his or her mouth muscles. 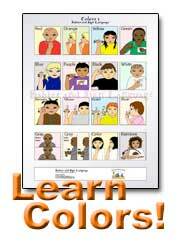 Sign language will give your child a visual hint or clue to remember for specific words. 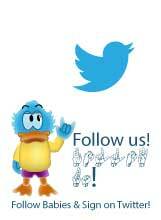 Over time, this can help promote speech development. Help hand control for your baby. Using sign language on a constant basis can help your child develop better hand control and increase his or her general motor skills. Signs will become easier to use the more often they are practiced. 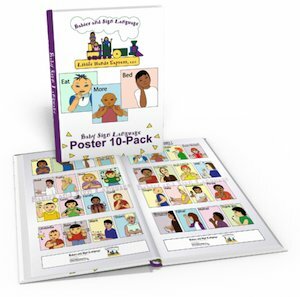 This will not only make your child's signs more clear and easily understood, but can - over time - train his or her muscles to function in a more proper way. Repeating the same signs or gestures frequently can help the motor skills of your child's fingers, hands, wrists, and arms. Make understanding others easier for your child. Especially if your child has a combination hearing loss - baby signing will help encourage him or her to be more attentive to others. Signing will also increase his or her observation and listening skills. This will be helpful not only at home, but academically as well. Again, sign will pace the rate of conversation (for you both) and your child will be less likely to miss important information. He or she will be able to focus on what is being shown instead of becoming frustrated by not hearing properly or trying to respond too quickly. Sign language will hugely benefit your infant, baby or child with cerebral palsy - whether or not he or she is hearing impaired - by giving him or her another method to communicate. Signing gives your child the option to express him or herself more clearly. Just think - there may not always be a picture on a communication board for exactly how and/or what your child is feeling, needing, or wanting. Your child can be much happier and have a much more fulfilling life if he or she feels that s/he can be fully understood. Do You Sign With Your Baby? Please Tell Us (and other parents!) About It - Click Here!